The 2018 Filtration & Separation Asia (FSA2018) will take place at Shanghai New International Expo Centre (SNIEC) on 5-7 December 2018. Over 200 global leading manufacturers and suppliers will gather showcasing their latest products and solution offerings. FSA 2018 provides an exchange and trade platform for filtration and separation industry and lead your business to Asia Market. 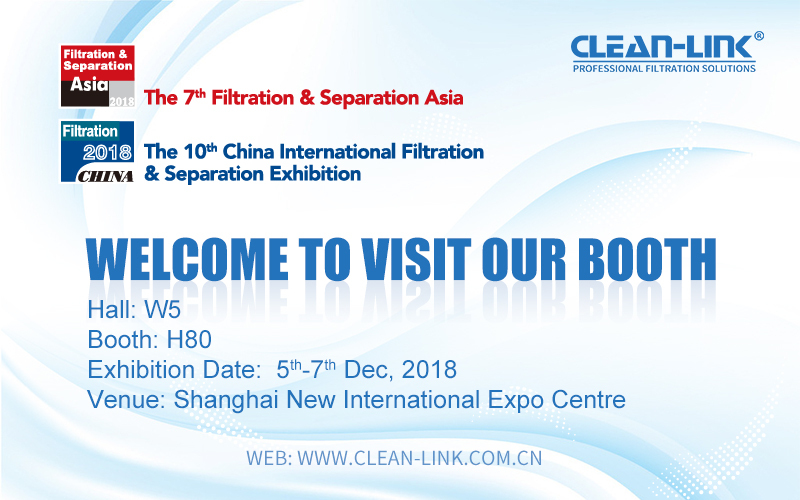 On December 5th and 7th, 2018, Guangzhou Clean-link will bring a variety of air filters and filter cotton products to participate in the exhibition. We sincerely invite all partners and buyers to visit and negotiate.